This guide tells an alternative way to share music on your iPhone 6/6s when you can’t Airdrop songs between iOSs, or between iOS and Mac. Download AnyTrans to transfer music from iPhone to iPhone, iPhone to Mac and Mac to iPhone when you can’t AirDrop music from your iPhone 6/6s. 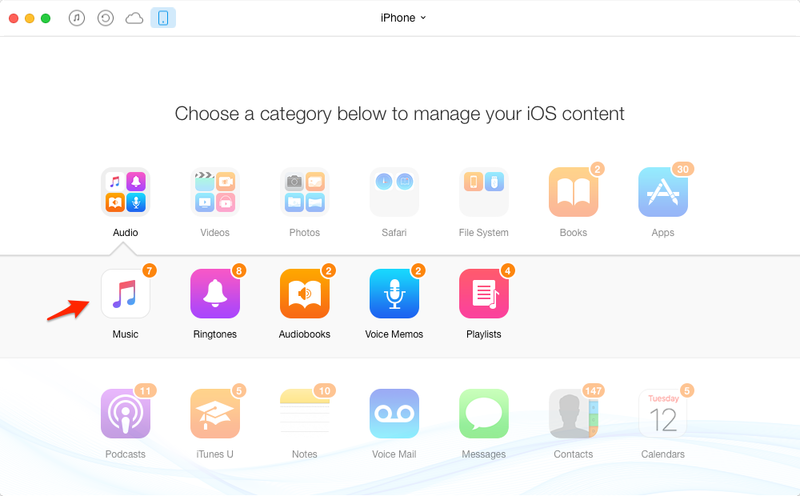 You can wirelessly AirDrop photos, videos, websites and some other files from your iPhone 6/6s. But you may have found there is no AirDrop share button available on iPhone music app you can use to AirDrop currently playing song to another iPhone or to Mac. Actually, Apple doesn’t allow its users to share songs via AirDrop. To AirDrop music from iPhone, some users choose to compress the music files by using some compression apps and then AirDrop the compressed files to another iOS device or Mac. But it is a little complicated because you have to download and install a decompression tool on the target device to unpack shared file. It is one professional iPhone data transfer tool – AnyTrans. 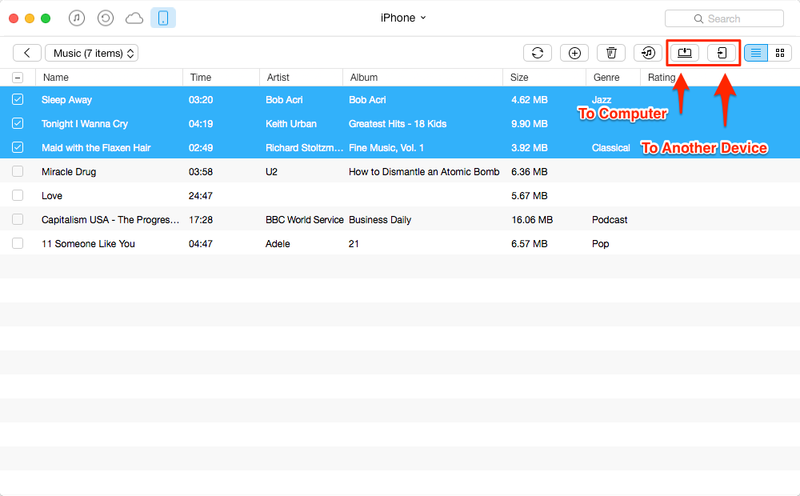 With this tool, you can transfer songs and other 20+ iOS files between two iOS device, or between iOS device and Mac/PC. After downloading and installing it on your computer, you can easily transfer thousands of songs by following 3 simple steps. Step 1. Run AnyTrans and connect your iOS devices to computer by using USB cables. Step 2. Go to Audio > Music and access songs on your iPhone. Step 3. Share songs to another iOS device or export songs to Mac/PC.